Just a thought after 1st term in Graduate Studies. This is how I will encapsulate the lessons I had in Basic Marketing. Marketing Managers have to be aware of 2 things, Company and the External Environment. As a marketing manager, he or she has to know the whole company, the organization, the operations, its vision and mission, the people inside, etc. These are the things that can immediately address to achieve company objectives. These are controllable variables that can be adjusted internally to serve any marketing strategy. At the same time, the marketing manager needs a keen observation of the external environment. These are variables that are beyond your company’s control but immensely affect your whole operation. Thus, every change in the external environment may pose a new opportunity or threat to the company. Example is when new policy restrictions on imported items that are used as raw materials in your production, then this can be very fatal for your company. Lastly, you need to be very vigilant on the activities of your competitors. Sometimes, it is good to have a very speculative view of your competitors because it is an impetus for continuously improving your product. In doing so, there are a lot of tools you can use such as analysing Socio, Political, Economic, Natural resources, and Technology (SPENT) and the 5 competitive forces suggested by porters which deals with the Bargaining power of Customers and Suppliers, Competitive Rivalry, new entrants, and substitutes (Cenon, 2012). After having a good understanding of the two then that is the only time for you to make your strategy. 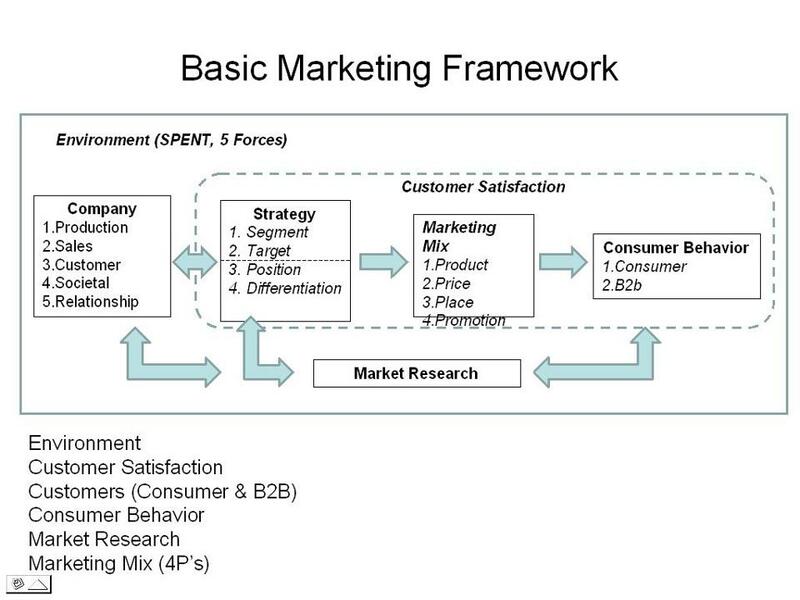 This is because these items are framework for strategy planning which start with broad market and narrows down to specific market and marketing mix (Perrault, Cannon, McCarthy, 2012) In making a strategy you need to determine your market segmentation which will give you an idea on the market you want or the most strategic to target. This is the point where you would decide whether to concentrate resources on a single target market approach, multiple target market approach, or combined market segments. After deciding on the target market then you can now position your brand. This should also be enough to differentiate the product from the substitutes or competitors. 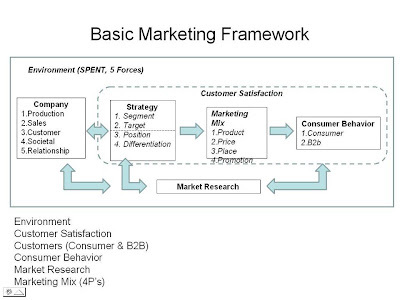 This is followed by making a marketing mix. Under this are the 4P’s namely Product, Price, Place, and Promotion. This means that you should be making products that will fit your target market. That is why if you are targeting young early adopters - tech savvy people, then your product development should have all the advance technology like Apple. They pride the high quality and the level of technology of their product. With price, biggest consideration is the ability to pay of the target market. And, your brand should have a market representation on areas where the market is. To have a formal and credible marketing plan we need to do market research. They can provide us with information about the consumers especially on their behaviour, demographics, psychographics, etc. These kinds of feedback are important in creating a strategy and needed to formalize the action plan thought their marketing mix. That is why there are different approaches in market research such as Concept and Product Test (CPT), Usage, Attitude, Image (UAI), Balance Price Trade Off (BPTO), Ad Test, etc. All of these answer to a specific marketing mix.